Courtney and Melyssa venture further into The Four Kingdoms with book 2 - The Princess Fugitive. Does Courtney find her love of Ava? Will Melyssa ever remember characters' names? How does the Red Riding Hood tale get retold? Find out all this and more in this bonus episode of Disney Magic Hour! Hello there! On this week's show we take a break from the big screen to welcome a member of our DMH Facebook Family to discuss her recent visit to Tokyo DisneySea, Tokyo Disneyland as well as Honk Kong Disneyland. Who is she? Her name is Laura Winberg and she was a delight to have on the show. It's fascinating to us getting the chance to speak with someone who lives overseas and discovered our little show. It's equally fascinating because Laura was able to recently visit two parks that I would assume are on many people's bucket list visits and all it took for her was the equivalent of a flight from New York to Florida. Following that we respond to this weeks questions posted on the group page in a segment that I have come up with a title yet but absolutely adore thus far. Lots to do! Let's go! It's showtime! This week's track was BIGGER BLUE! 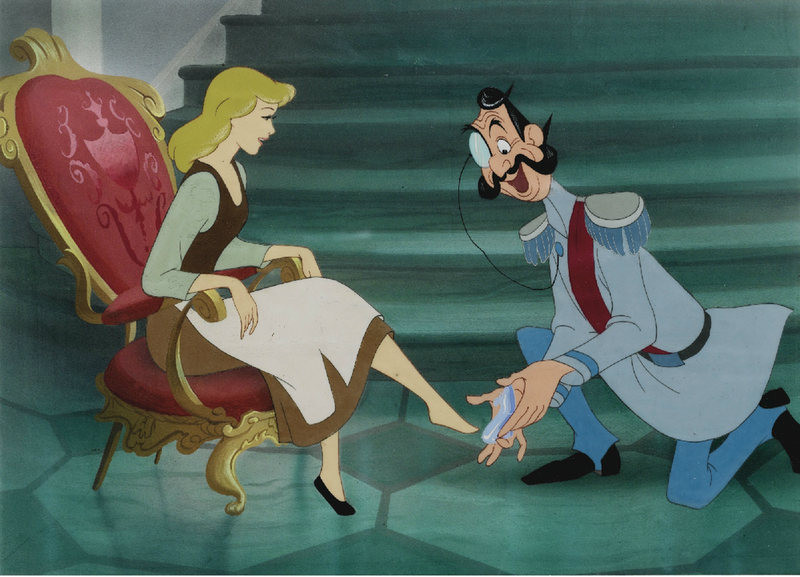 The 1950's were an absolute decade of magic for the Walt Disney Animated studios and it was all started by the release of CINDERELLA on March 4th, 1950. Everyone by now knows the tale of the woman forced into servitude by her evil Step-mother and step-sisters, but finds true love with the help of her fairy Godmother, a ball, and a glass slipper. Does the film still hold up though or has the clock struck midnight on the picture as a whole? This week on Disney Magic Hour we tackle that exact question. Here is Ilene Woods on the Alan Young Show. She pops in at the 12:40 mark as the singing neighbor. The Disney Magic Hour - A LastGen Disney Podcast Debut Episode! We are very excited to share Episode #1 of our new podcast, The Extra Magic Hour - A LastGen Disney Podcast! On this week's show, we give an intro of ourselves, then dive into some news including a new EPCOT tour, update on Shanghai Disneyland, new addition to Cinderella's Castle, and Melyssa and I give a full breakdown of our experience at STAR WARS WEEKEND. This is NOT yet up on iTunes since I want 2-3 episodes cataloged till we submit and we have some amazing artwork in the making that we need first as well. So, for the meantime, you can download the MP3 from the audio block above or stream it from the player above as well. The Han Solo print that Mike purchased at STAR WARS WEEKEND. WITH NO HOLES THIS TIME! Make note of the narrator for this teaser trailer for EMPIRE STRIKES BACK. Head over to YouTube and check out POGO's page HERE to view all his music videos. The editing is top notch and the music, a notch higher than that. This weeks featured track was UPULAR!